Ten days in Paris captures two night at TRANOÏ. 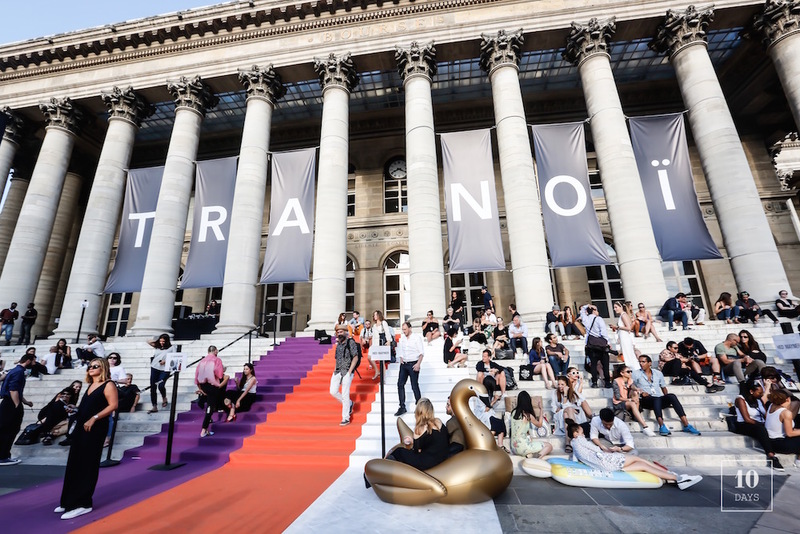 Friday night TRANOÏ hosted its summer party with DJ Marwan Sabb, where exhibitors and visitors mingled and enjoyed some sun in front of Palais de la Bourse. Saturday night TRANOÏ hosted its second party on the rooftop of Ecole Duperré, with special dance performance by the brand MELANGE !